Sort of interesting but not for sale. I grabbed the images, but image hosting is disabled. “69 CORVETTE- DO YOU HAVE INFO ON THIS???? I am looking for past owners of this 69 corvette, with Baldwin Motion Performance body parts. I was told that it was one time in or near Natick , Mass. 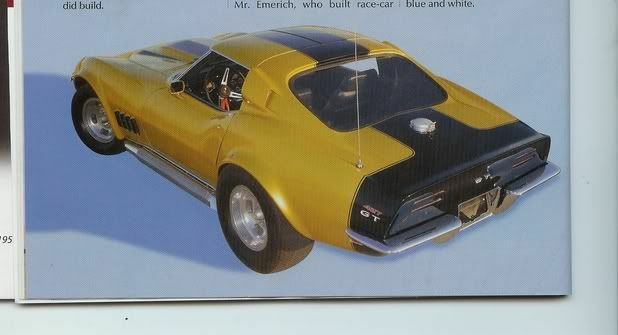 It was yellow with black stripe on the hood, behind the doors and on the side gills which were turned out. Car was bought by last owner in 1990 who told me this info. This car was originally orange also. I wonder what he paid for it. 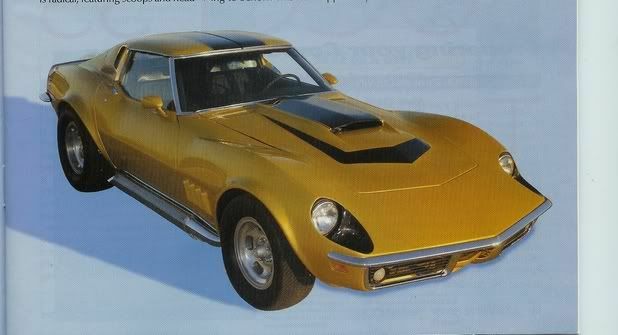 Baldwin Motion Corvettes were customs, but you could buy the parts and make your own clone. The originals are pricey, not sure about the clones. I would imagine that any verifiable Baldwin Motion parts are going to be pricey, whether or not they're assembled to a car.